Abstract. Atmospheric dynamical cores are a fundamental component of global atmospheric modeling systems and are responsible for capturing the dynamical behavior of the Earth's atmosphere via numerical integration of the Navier–Stokes equations. These systems have existed in one form or another for over half of a century, with the earliest discretizations having now evolved into a complex ecosystem of algorithms and computational strategies. In essence, no two dynamical cores are alike, and their individual successes suggest that no perfect model exists. To better understand modern dynamical cores, this paper aims to provide a comprehensive review of 11 non-hydrostatic dynamical cores, drawn from modeling centers and groups that participated in the 2016 Dynamical Core Model Intercomparison Project (DCMIP) workshop and summer school. This review includes a choice of model grid, variable placement, vertical coordinate, prognostic equations, temporal discretization, and the diffusion, stabilization, filters, and fixers employed by each system. How to cite: Ullrich, P. A., Jablonowski, C., Kent, J., Lauritzen, P. H., Nair, R., Reed, K. A., Zarzycki, C. M., Hall, D. M., Dazlich, D., Heikes, R., Konor, C., Randall, D., Dubos, T., Meurdesoif, Y., Chen, X., Harris, L., Kühnlein, C., Lee, V., Qaddouri, A., Girard, C., Giorgetta, M., Reinert, D., Klemp, J., Park, S.-H., Skamarock, W., Miura, H., Ohno, T., Yoshida, R., Walko, R., Reinecke, A., and Viner, K.: DCMIP2016: a review of non-hydrostatic dynamical core design and intercomparison of participating models, Geosci. Model Dev., 10, 4477-4509, https://doi.org/10.5194/gmd-10-4477-2017, 2017. 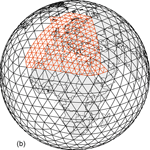 Atmospheric dynamical cores are a fundamental component of global atmospheric modeling systems and are responsible for capturing the dynamical behavior of the Earth's atmosphere. To better understand modern dynamical cores, this paper aims to provide a comprehensive review of 11 dynamical cores, drawn from modeling centers and groups that participated in the 2016 Dynamical Core Model Intercomparison Project (DCMIP) workshop and summer school.